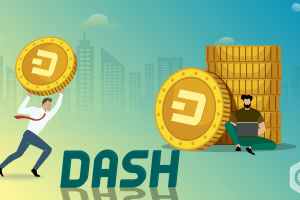 Dogecoin is a blockchain based peer-to-peer cryptocurrency which was introduced to overcome the shortcomings of other cryptocurrencies including bitcoin. 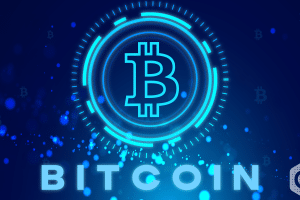 This market was fun and fresh due to which, it gained a lot of attention that drove the digital currency, putting it among the top cryptocurrencies in the market. 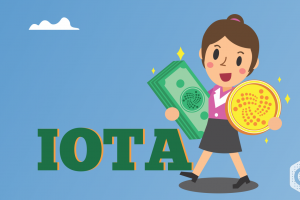 Due to its popularity between the internet users and the communities, it reached a capitalization of USD 60 million in January 2014. By mid-2015, the 100 billionth Dogecoin had been mined. For a brief period, Dogecoin exceeded bitcoin’s market. 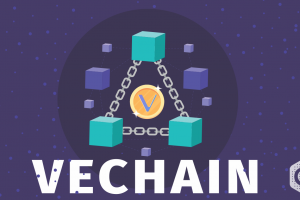 According to stats from CoinMarketCap, DOGE is the 28th largest currency in the crypto market, whose market cap value opened at 276 million in USD at the beginning of 2019. The values have been on a downtrend after that. The lowest MCAP value was of USD 217,769,492 on February 08 which is lower by 12.91% from the current value. 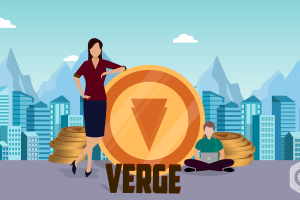 However, the market boomed for this cryptocurrency with increasing MCap values from February 16. The overall market was in a peak period between February 19 and 24 with the MCAP value the highest on February 24 with the value of USD 250,941,800 at 12:34 USD. 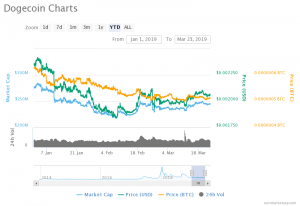 There was a slight set back in the market with the values reducing from their peak values and have reached their current MCAP value of $245,882,009 for the 24h volume of $17,136,137 on March 23 at 11:09 UTC. This value is lower from its all-time high by an insignificant 2.02%. However, the market has been stable with no major increase or decrease in values after February 24. The values have been linear. The moving averages of the cryptocurrency prove this. Whilst the 20-day Exponential Moving Average rose from USD 237,877,001 on March 03; the 14-day MA rose from USD 236,619,712 on March 09. Both averages exhibit a minor enhancement in value with the percentage differences of 3.37% and 3.91% with the current value. The rising values exert bullish pressure on the cryptocurrency’s market. CoinMarketCap also calculates the pricing variations of the crypto-coin in comparison to the price of BTC. 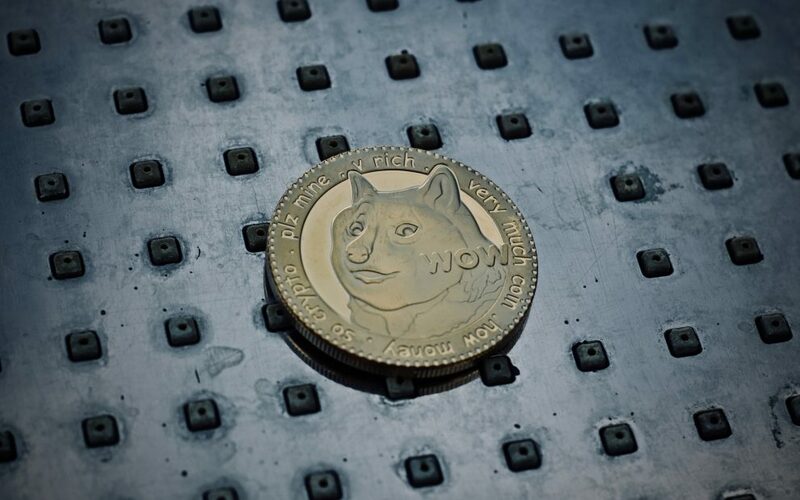 The current price of USD per DogeCoin is estimated to be $0.002070 on March 23 at 11:09 UTC. The price of USD has been in a closed path with the MCap values merging briefly during the low. The price of USD has not seen a major development in comparison to the MCAP values. 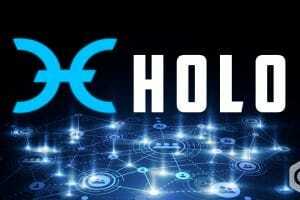 The price of USD reached its highest and the lowest with the market cap value of DOGE on February 24 and 08 with the values of $0.002120 and 0.001843 respectively. The current value is closer to its all-time high with a minor difference of 2.42% and higher than the all-time low by 12.32%. In comparison, the price of BTC has been completely range bound. The values vary between the highest of 0.00000063 and the lowest of 0.00000050. The current price on March 23 is 0.00000051 which is lower than the opening value of 0.00000063 by 23.53%. The booming market and the supportive bullish pressure push the market in favor of the buyers. However, these current situations will suit the traders with short term investments the best. Investors will have to observe for stability in increasing values before proceeding with their long term investment plans.